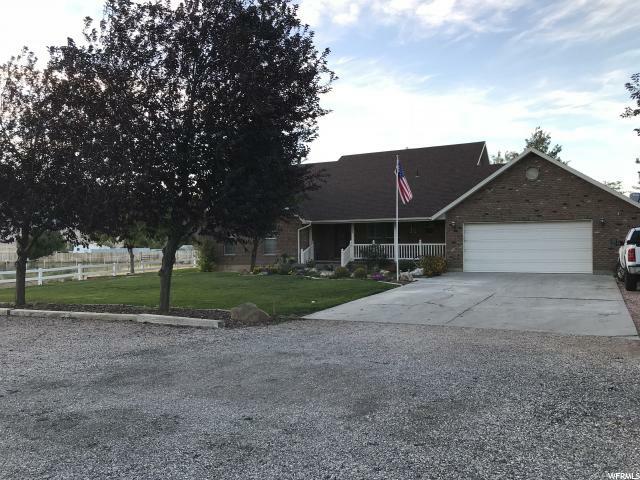 All Scipio homes currently listed for sale in Scipio as of 04/22/2019 are shown below. You can change the search criteria at any time by pressing the 'Change Search' button below. If you have any questions or you would like more information about any Scipio homes for sale or other Scipio real estate, please contact us and one of our knowledgeable Scipio REALTORS® would be pleased to assist you. "This beautiful home features a well designed floor plan, single level living, vaulted ceilings, the master bathroom has a jetted tub and shower, hardwood floors, lots of natural light, large rooms in the basement, two dining areas. There is also a large attached garage with work area. The outside features a separate garage 32 x 30, a nice tack shed, corrals, pasture, beautiful trex decking, well lit, and has great views of the mountain. This place would be perfect for sports enthusiast. "